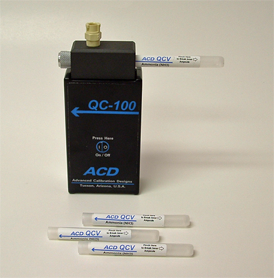 Envirosafe Ireland supply the QC-100 Calibration Gas Bump Tester (850-1100-00). Gases supported: NH3, C6H14, HCl, C7H8. Internal pump provides continuous flow.